SAPA. 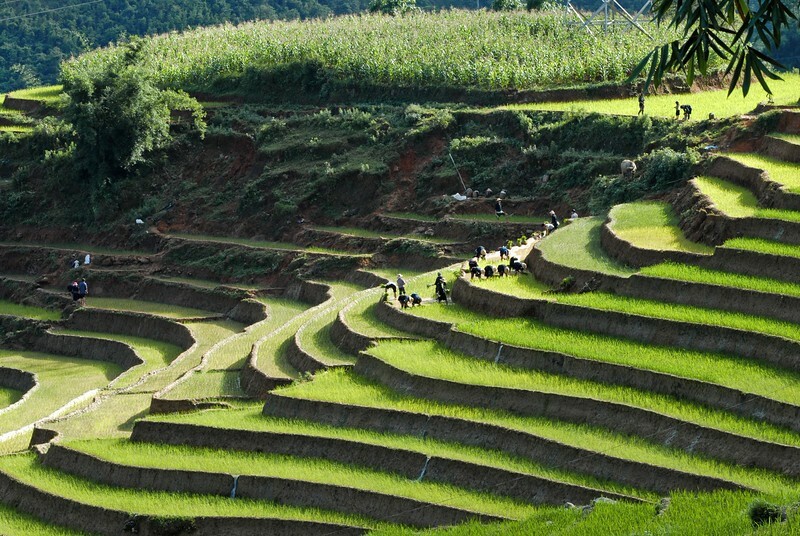 Terraced rice paddies ring the Vietnamese countryside in bright green. The crop, a staple of Southeast Asia, has been grown in Vietnam for thousands of years. The country is now the second largest exporter of rice, after Thailand.